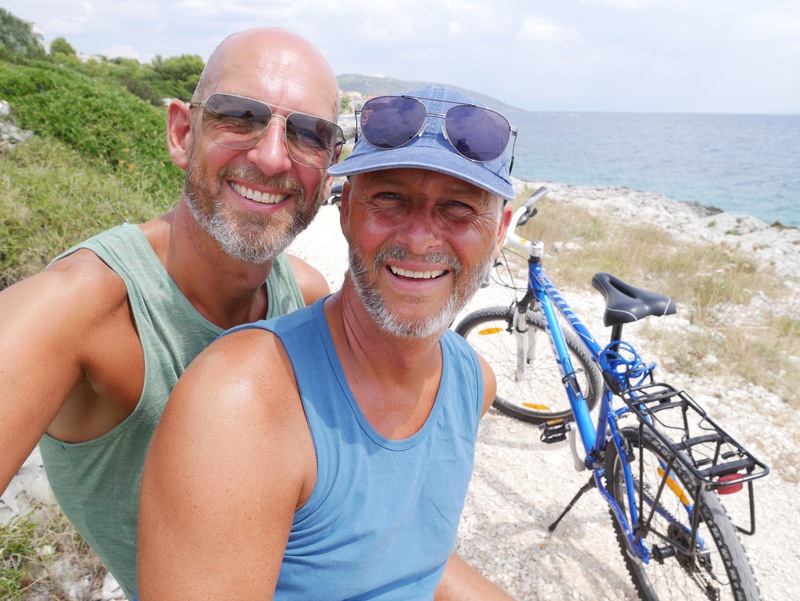 We have been in love with Croatia for several years and revisiting this beautiful country in the Balkans in the summer of 2018 got the crush to flare up, BIG TIME. Preparing for our trip we just had to decide where to go. 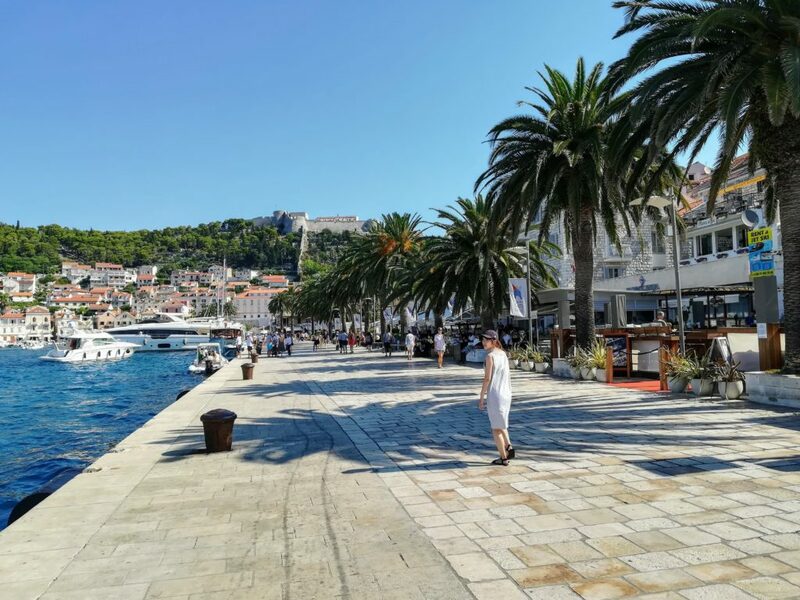 Croatia is a true cornucopia of ancient history, indescribably beautiful national parks, rugged coastlines, crystal clear sea water, a friendly and smiling population, old towns, many of which are on UNESCO’s heritage site, roaring rivers, wild mountains and more than 1200 major and smaller islands. 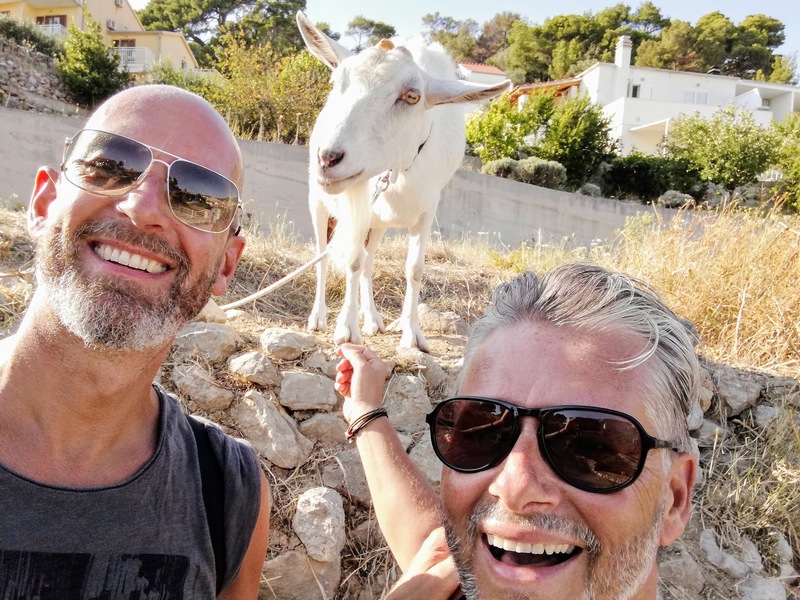 We decided go island hopping and started of on the island of Hvar and what a wise decision this turned out to be. 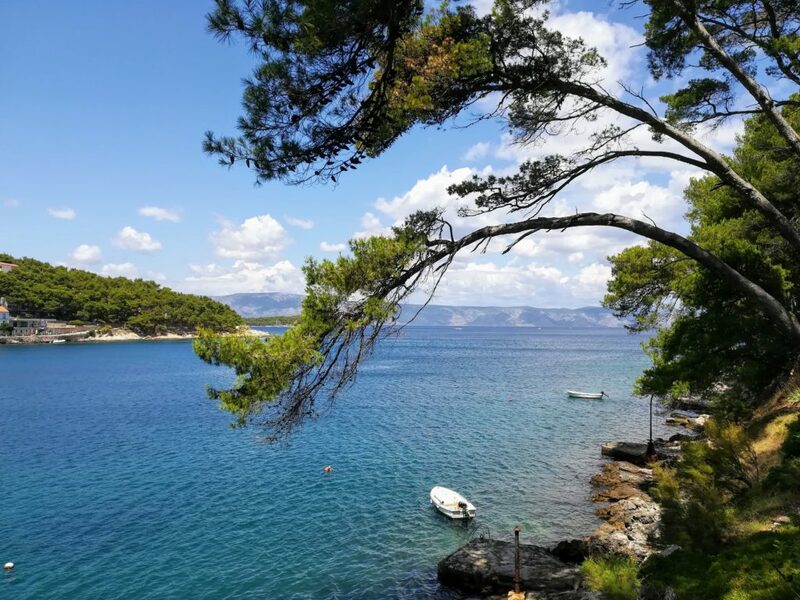 This amazingly beautiful island totally got under our skin and made our love affair with Croatia flare up in a wild and uncontrollable fire. 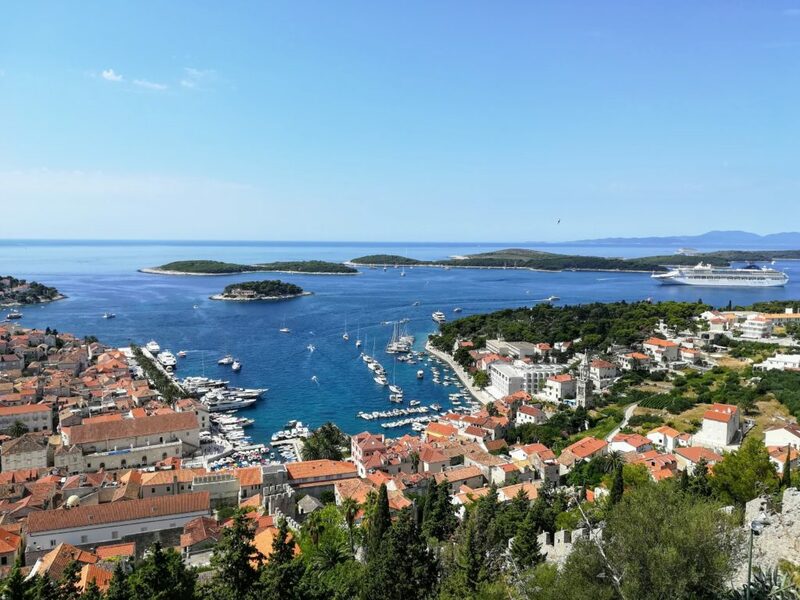 We totally get why Hvar has been ranked amongst the 5 best European destinations to visit in 2018 and amongst the 10 most beautiful islands in the world. 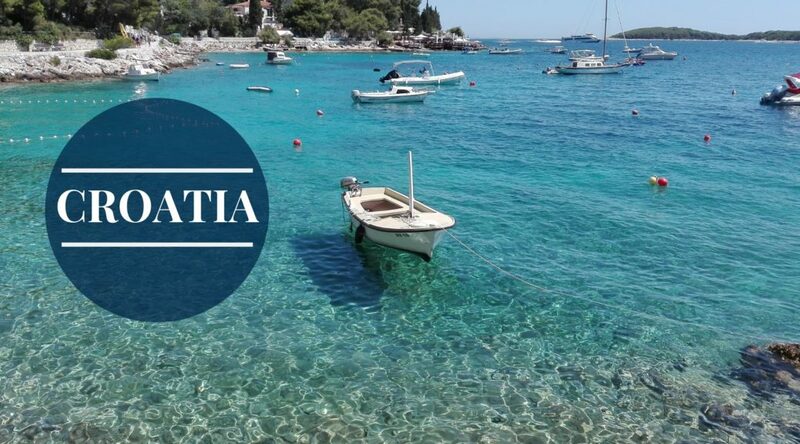 Croatia’s fourth largest island has everything you could wish for. 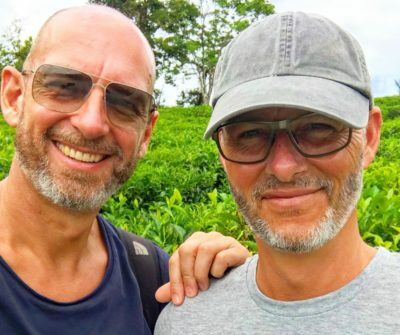 More than 2700 hours of sunshine every year, a gin-clear lukewarm sea, beautifully restored old towns, expansive lavender fields, green vineyards, cosy cocktail bars and tastefully decorated restaurants serving delicate dishes made from local produce. 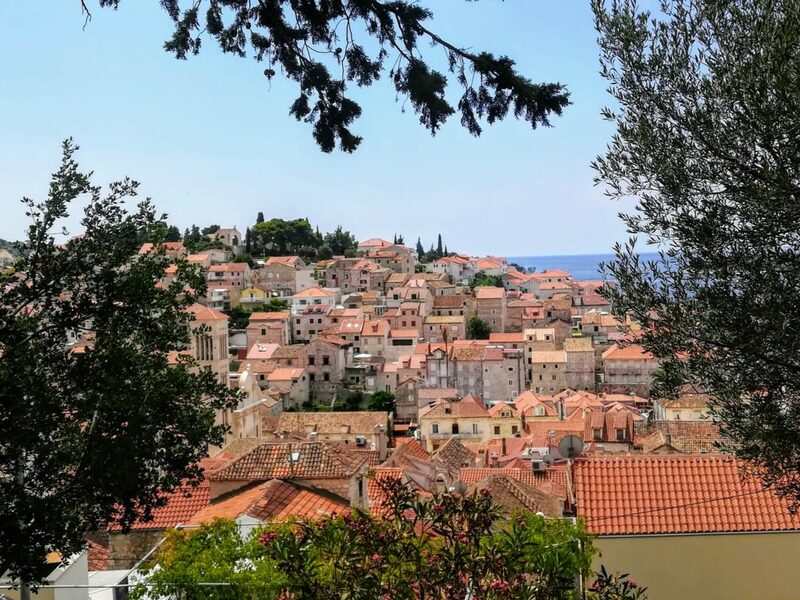 The island is said to be the most mundane destination in Croatia but luckily it still has retained its charm and if you get tired of the crowds, the jet set and young partying hipsters in Hvar town there is only a short drive to small villages where time seems to be on hold. The only downside to Hvars growing popularity is the growing prices. 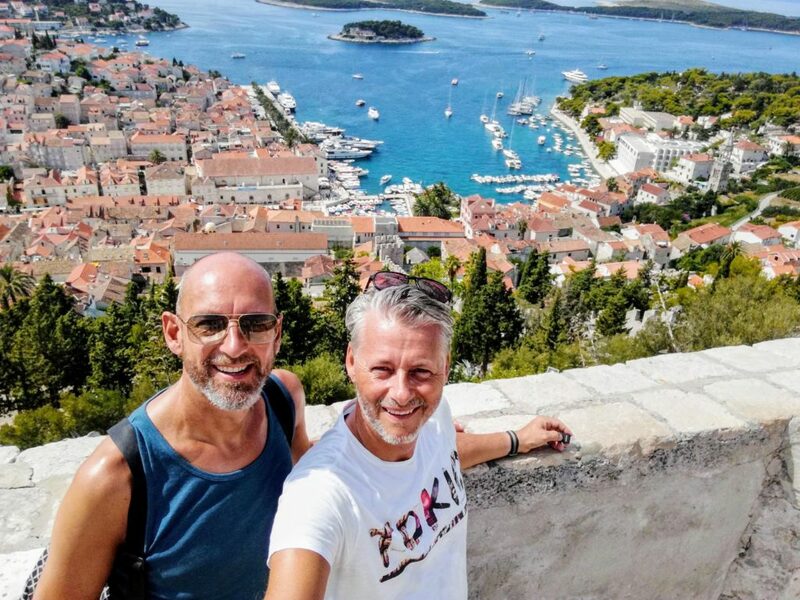 Generally costs are low in Croatia only not on Hvar. Shop around and choose to eat your calamari and drink your cocktails in one of the narrow cobbled streets and not in the central square. Prices are often much lower, the food is better and the drinks are larger. 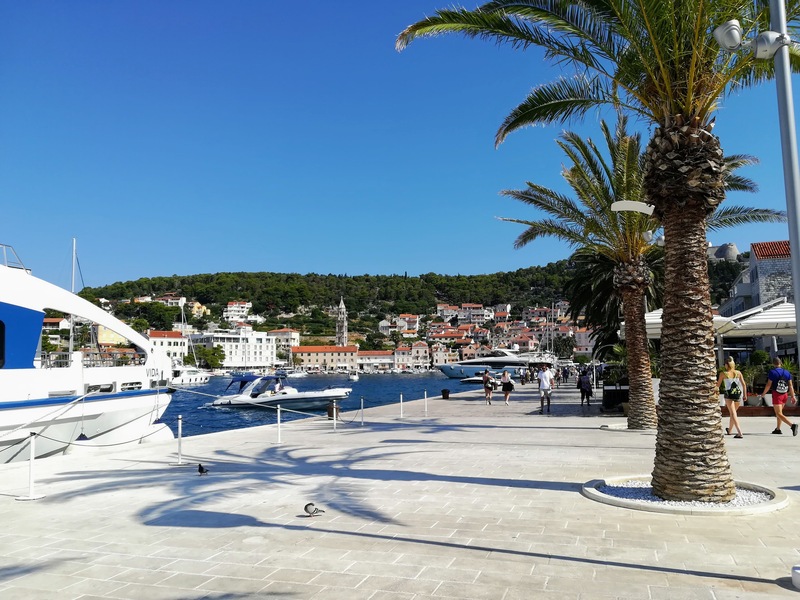 The beautiful and elegant harbour promenade in Hvar town. In the evening you will find this stretch of pavement packed with happy partying people. 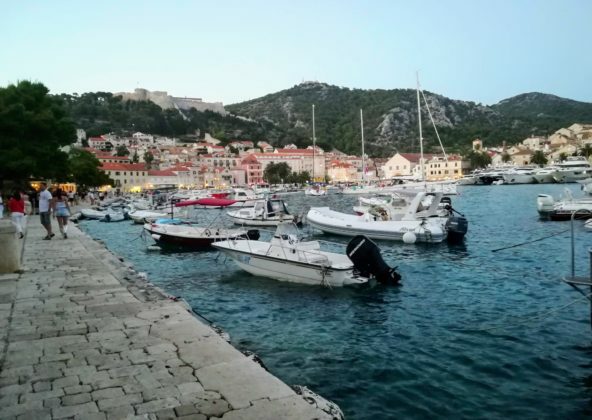 As soon as you jump off the ferry in either Hvar town or Starigrad ( the ferry port for the car ferries) you sense that you have arrived to an Island. Life seems to run a bit slower here and that is to us one of the major attractions to island life. 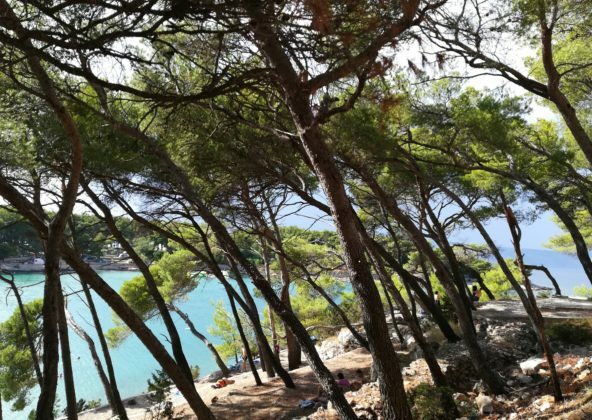 Well, maybe not in Hvar town during peak season but you only need to move a few miles outside the city sign and you will be overwhelmed by the silence, the wild rugged coast and the sapphire blue sea. 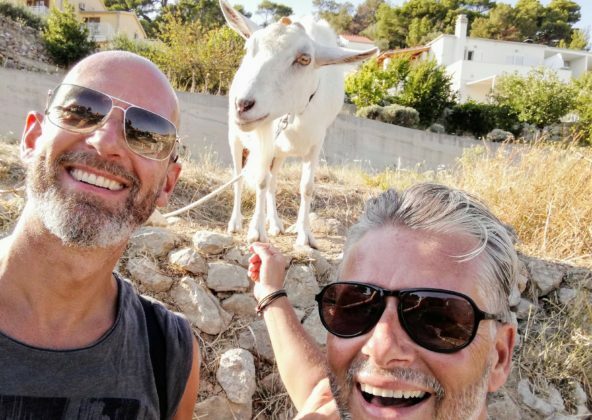 Hvar has every thing you could wish for. 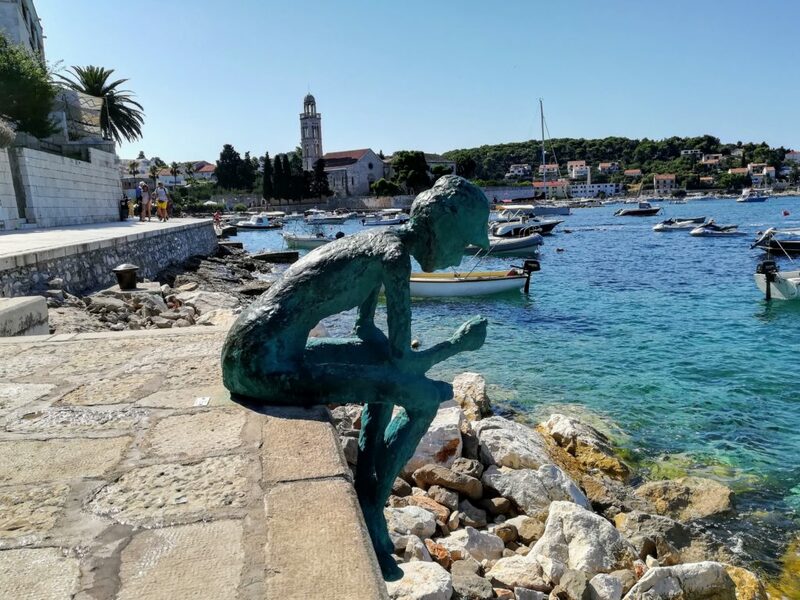 When strolling along the Hvar harbour promenade you will meet this fine small bronze sculpture of a very thoughtful person. We couldn’t quite decide whether its a man or a woman!! 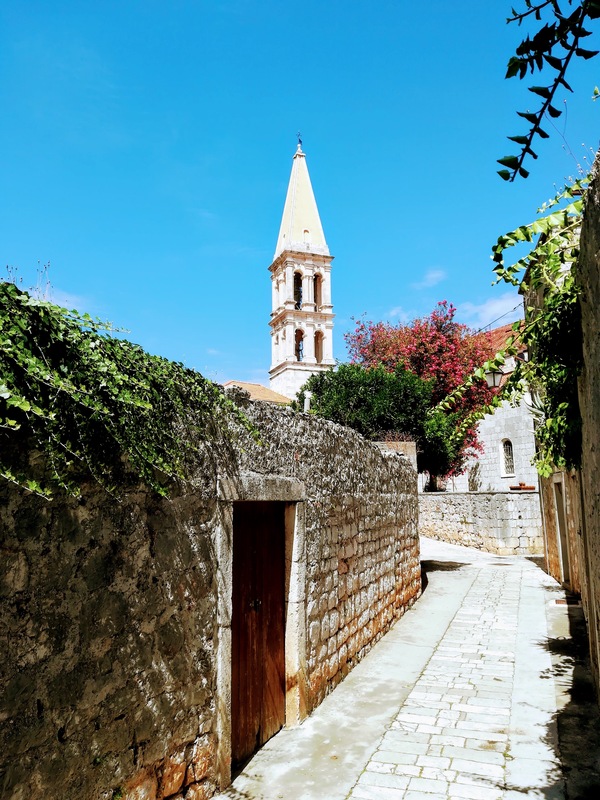 During our visit to Hvar we stayed just outside the beautiful ancient town of Hvar and immediately fell in love with this fairytale like gem hidden by the time. If you can abstract from hundreds of other tourists and modern shops and restaurants, it’s almost as if you have been catapulted hundreds of years back in time. You will most certainly loose your breath over this historic place tucked away in a small bay surrounded by beautiful nature and an ocean as blue as it gets. 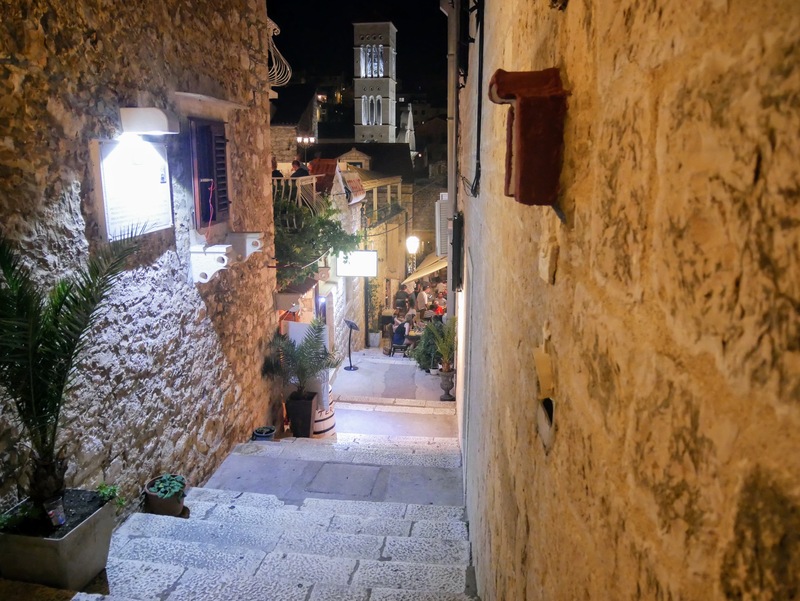 The city is partly built on a small mountain and the town’s small alleys crawl up in height, which means that large parts of the city are car-free. 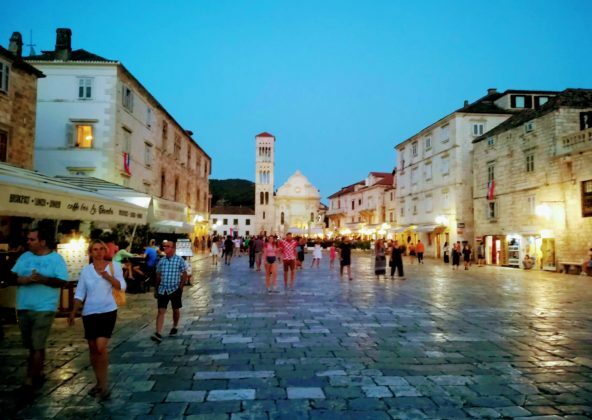 When you first get away from the harbour promenade and the central square, the sounds disappear and you can almost feel the breath of history. 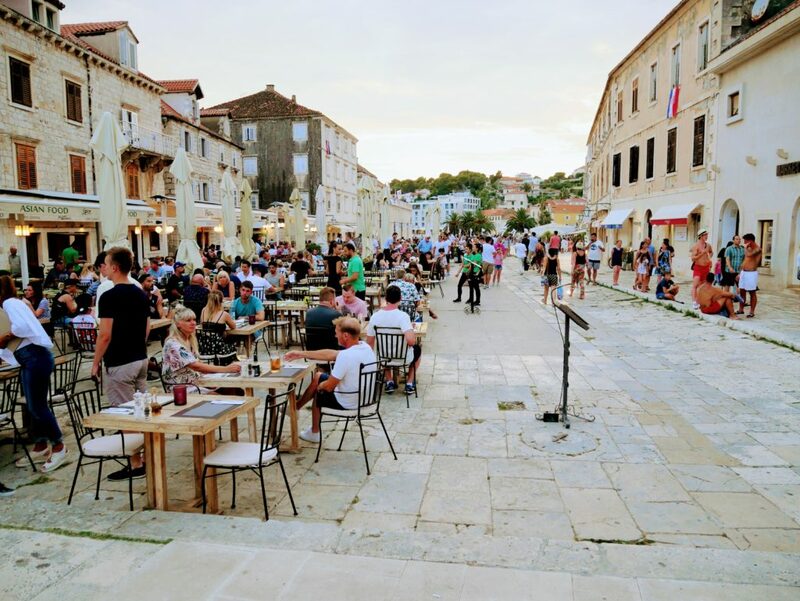 Hvar town main square. With its more than 4,500 m2 its the largest square in Dalmatia. Being the main square you will find lots of restaurants and cafes here but when looking for lunch or dinner do you self a favour and explore the small streets and alleyways instead. The food is often better and cheaper here. 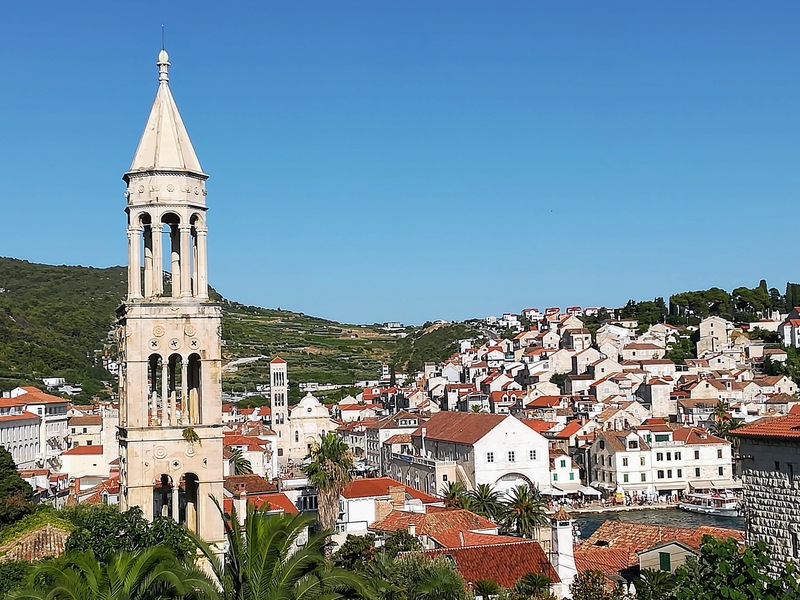 The city of Hvar has a long and distinguished history as a centre of trade and culture and every where you move around in the old town you get a very clear sense of its importance in former days. 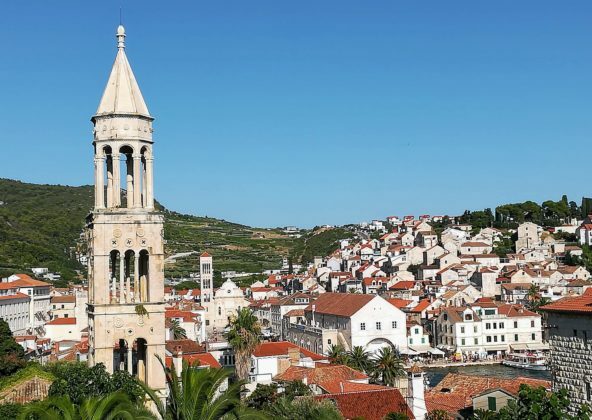 In fact Hvar town has a more than 500 year long history of being part of the Venetian Empire. Some of the seven hundred year old walls still survive as do many of the noble houses and public buildings. One can easily spend hours after hours exploring the hilly streets, the cobbled alleys and the small squares. 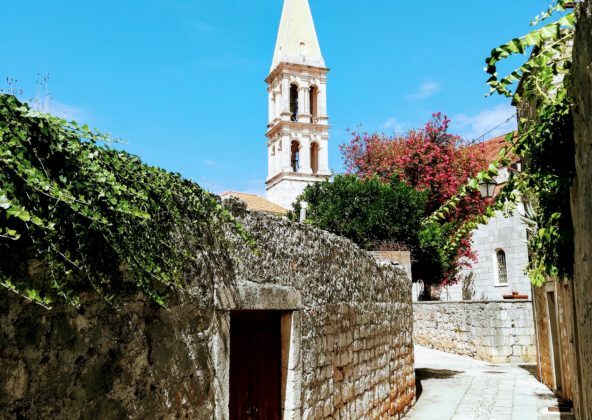 Hvar in many ways presents itself as a huge open-air museum. Century after century have ground its stones and shaped its appearance. Approaching Hvar harbour onboard one of the small taxi boats you can hire for a few Kunas. From here you get a magnificent glimpse of the impressing Spanjola. 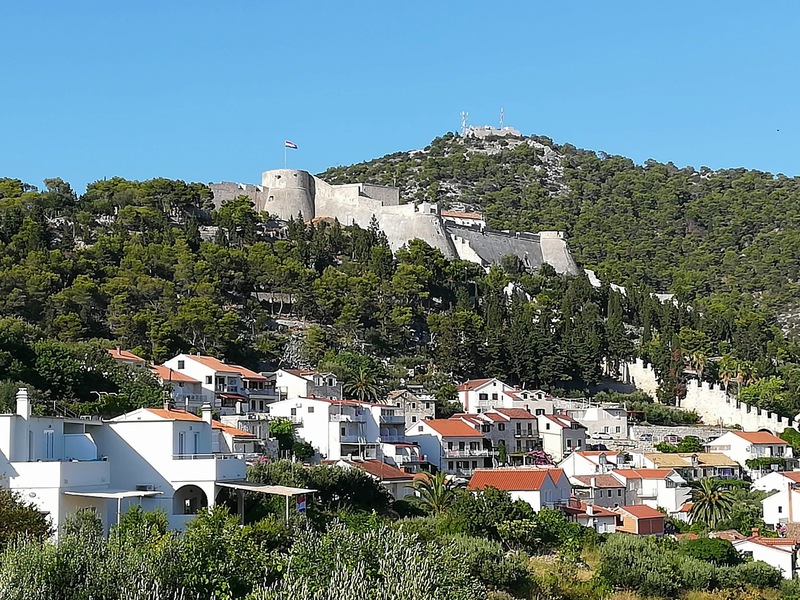 One of the biggest attractions in Hvar is undoubtedly the Venetian fort, Spanjola, from the 16th century. It took almost 300 years to complete this incredible building. The fortress was completed in 1551 and from here you have the most adventurous views over the city, the sea and the Pakleni islands. Throughout the ages, the fort has been exposed to many wars and injuries, and it has even been used as a popular disco but today it has been transformed into an incredibly beautiful historical monument. There is a small cafe onsite where you can rest your legs and get a cold drink. The hike up hill can be quite strenuous during the hot summer season. It takes about 20-30 minutes to walk from the lower part of town to the entrance of the fort. The path is well-signposted. It’s also possible to take a car to the entrance but if possible we do recommend to walk through the beautiful mediterranean garden you will pass on route. 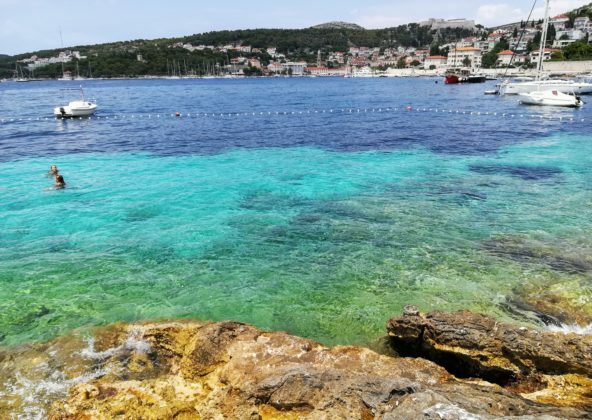 After hours and hours of exploring Hvar town its time to show of your swimwear. The beaches are mostly rocky and pebble and scattered around the island in small bays. The water is almost gin-clear at shore changing to turquoise and further out to sea to the deepest of deep blue. It’s no problem to walk on the pebble but the rocks can be sharp and you may meet sea urchins so we recommend using bathing shoes. 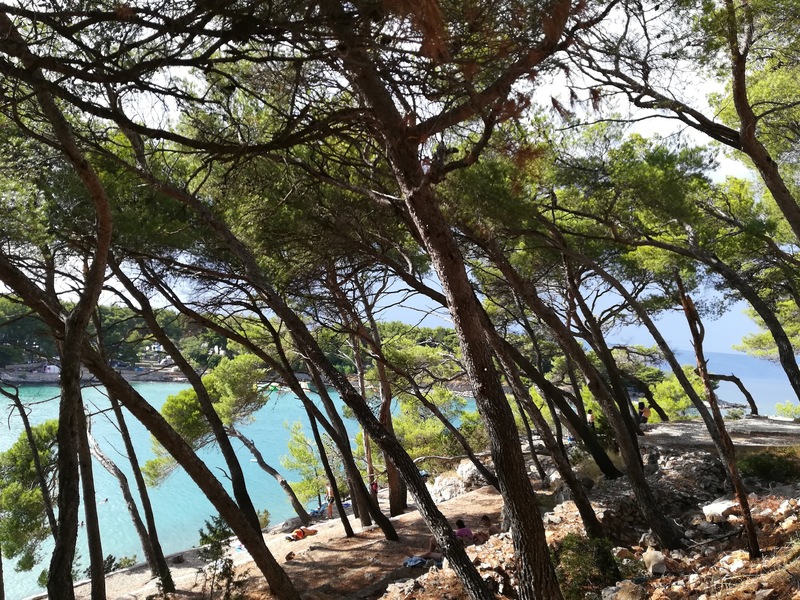 There are some fairly nice beaches in walking distance from Hvar town but during high-season in July and August they tend to be overcrowded and noisy. 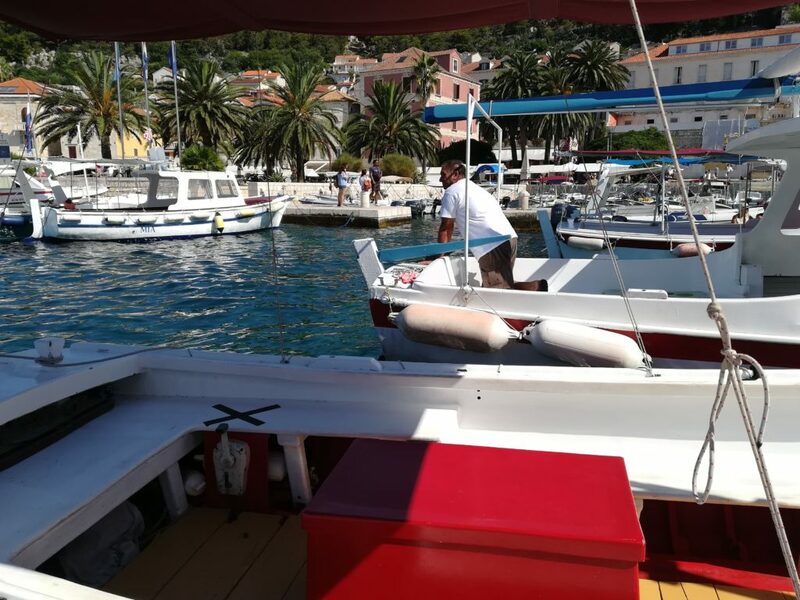 Our recommendation is to hire one of the many taxi-boats in the harbor and sail of to the Pakleni Islands. Why the Pakleni Islands is translated into Hell’s Islands we do not get, they are for sure as far away from Hell as possible. 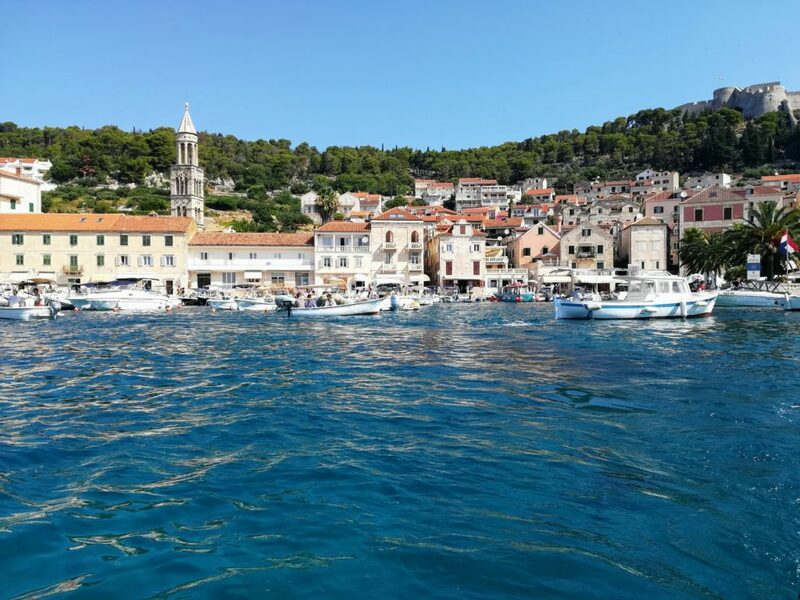 The beautiful Islands lie like pearls on a string just of the coast of Hvar. It takes around 20 minutes to get there depending on which island you choose and costs 50 Kunas return. There are several options to choose from whether you are going for party-party or just simple relaxation. On the small island of Jerolim you can spend a day filled with absolutely nothing else but sea, sun and wonderful laziness. Whats not to like. 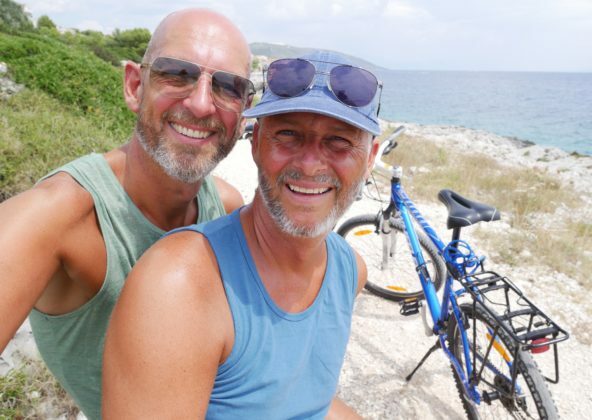 We went to Jerolim Island more than once. This small island gem captured our hearts. 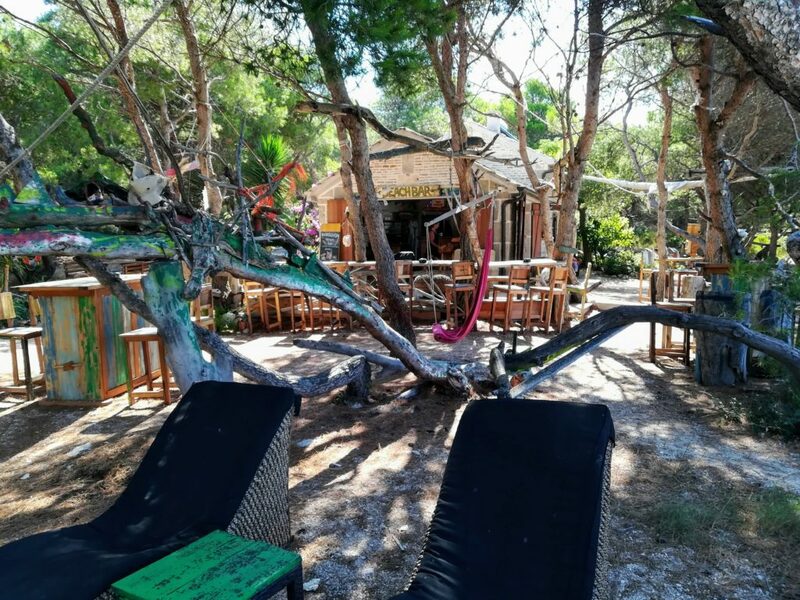 You can either get of at the first stop where you will find a beautiful quite beach with a rather simlpe but very cosy beach bar or you can go on to Carpe Diem Beach where the crowds go on partying day and night. We choose the first option. Here you will find a beautiful small cove with amazing clear water. Its possible to rent sun-loungers placed on wooden platforms built onto the cliffs. The bar serves cold drinks and simple food. The atmosphere is very relaxed and the beach never got overcrowded like the ones on the main island. What a great place to refuel energy. At this little beach clothes is optional. 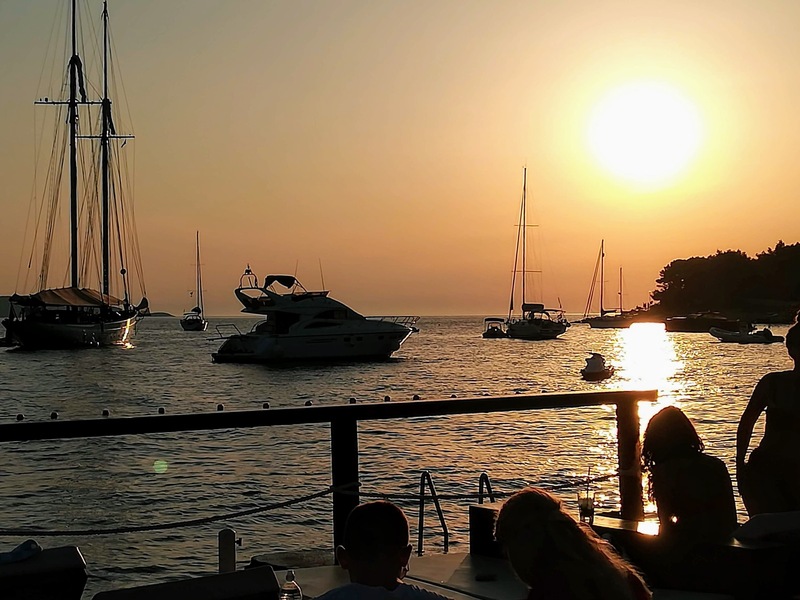 The small cozy beach bar serves light cafe dishes and is well stocked with cold beer and chilled white wine. 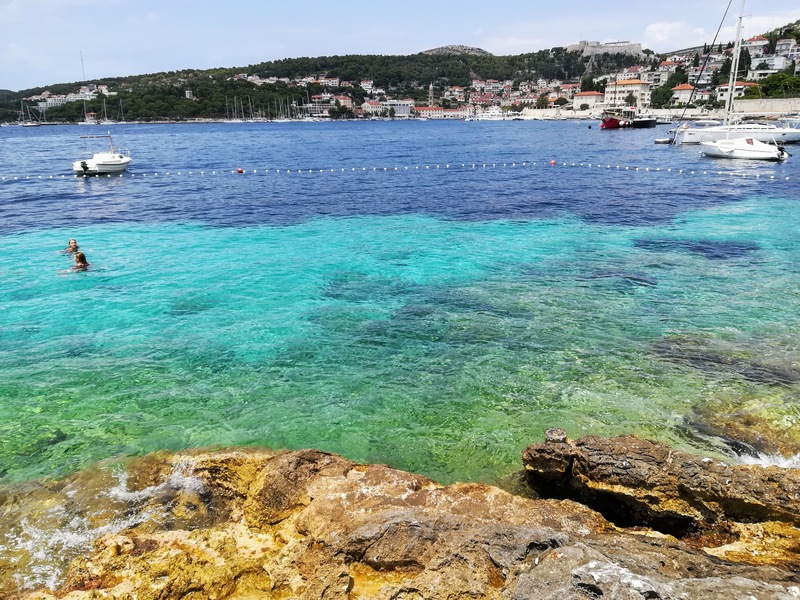 It can be quite a challenge to pull you self away from the amazing town of Hvar and the beautiful close-by beaches but the island has so much to offers its visitors. 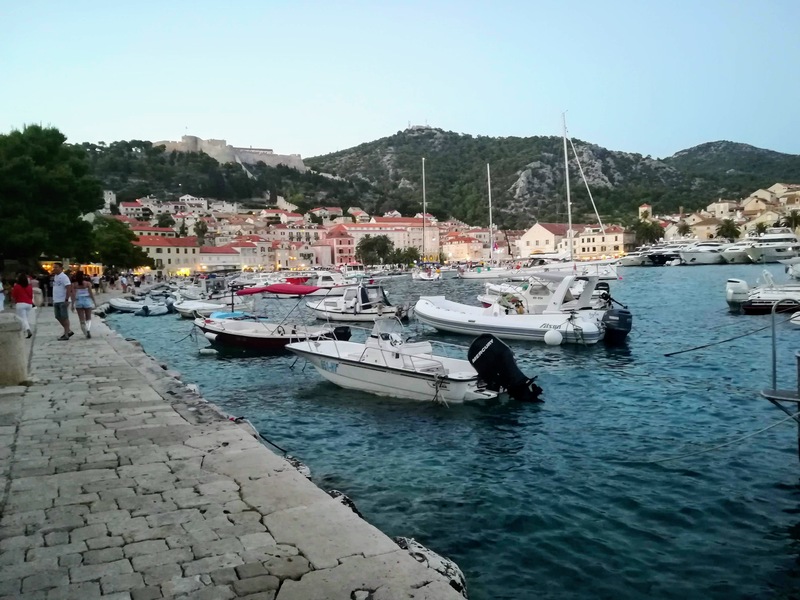 Do you self a favor and criss-cross the island in the search of wonderful landscapes, historic cities, breathtaking view-points, secluded coves or maybe The Stari Grad Plain, a Unesco World Heritage Site. There are several options when it comes to transportation on the island. We chose to take the local bus. Buses on Hvar are operated by the Cazmatrans Company and their buses connect all four municipalities, however, departure/arrival point is always Hvar Town. Bus tickets are bought on board, directly from the driver and prices are very reasonable. The frequency of departures rises during the summer season. 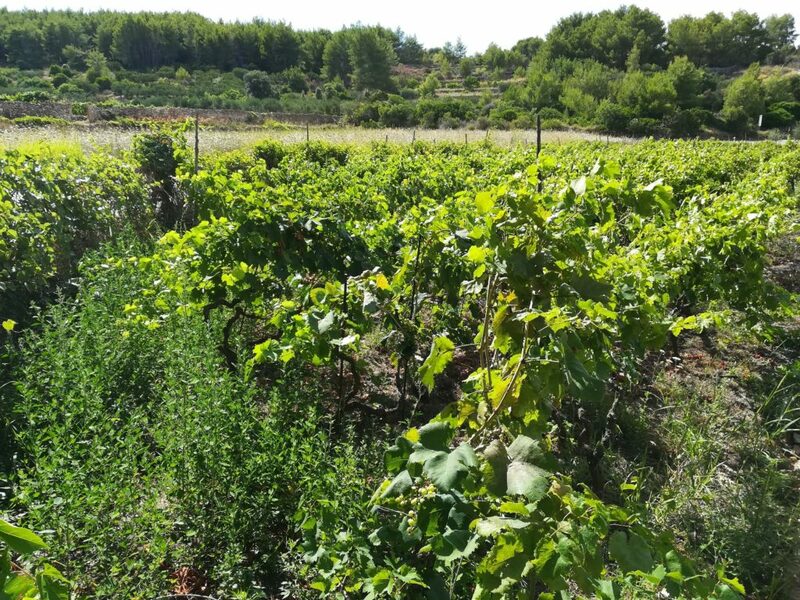 For centuries Hvar was known as the Lavender Island and almost 10 % of the worlds lavender oil production came from here. 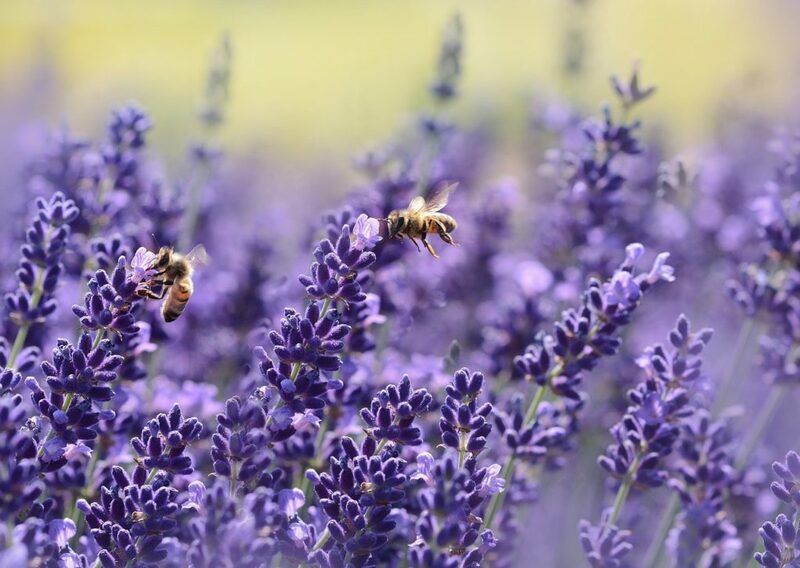 These days the lavender oil production has become very limited but during the lavender peak season, you will still be wowed by the fragrance and the vast fields of beautiful light purple flowers growing in the rocky soil. Stunning lavender fields are found around Zasatrazisce, Gdinj and Bogomolje and in late June they even have a lavender festival in Velo Grablje. 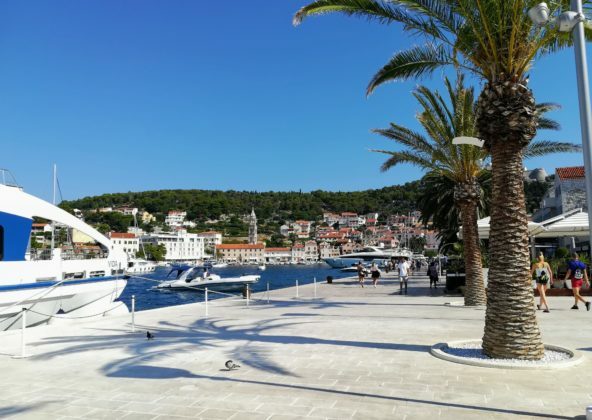 Both Jelsa and Stari Grad are frequently serviced by public buses and are both worth to pay a visit. 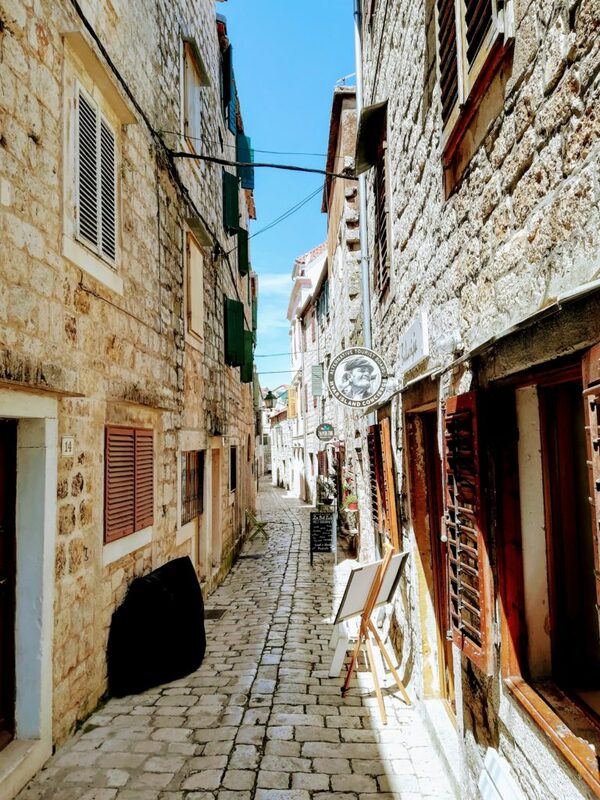 We don’t think they quite have the same stunning beauty as Hvar town but they certainly have their own charm. Life is lived at a slower pace here. 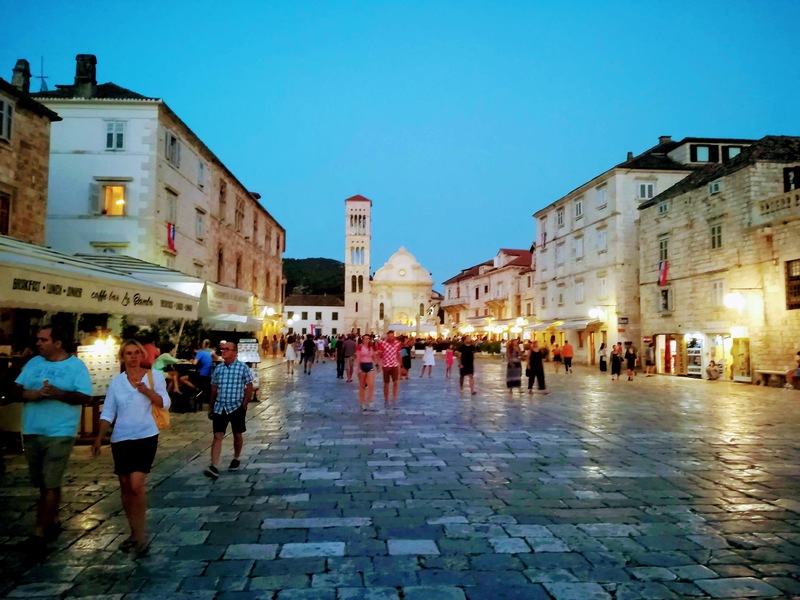 Stari Grad or Old Town in English is, in fact, the oldest town in Croatia and dates back to 384 b.c and due to its very long history, time has left many monuments in the urban structure of the town. 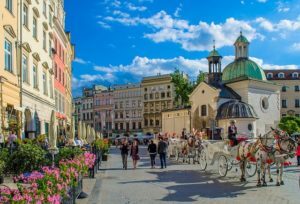 When walking through the narrow cobblestone streets and small squares you can almost hear the whispering of past times. The old houses and buildings have been restored with much love and nowadays you easily feel the glory of former days. 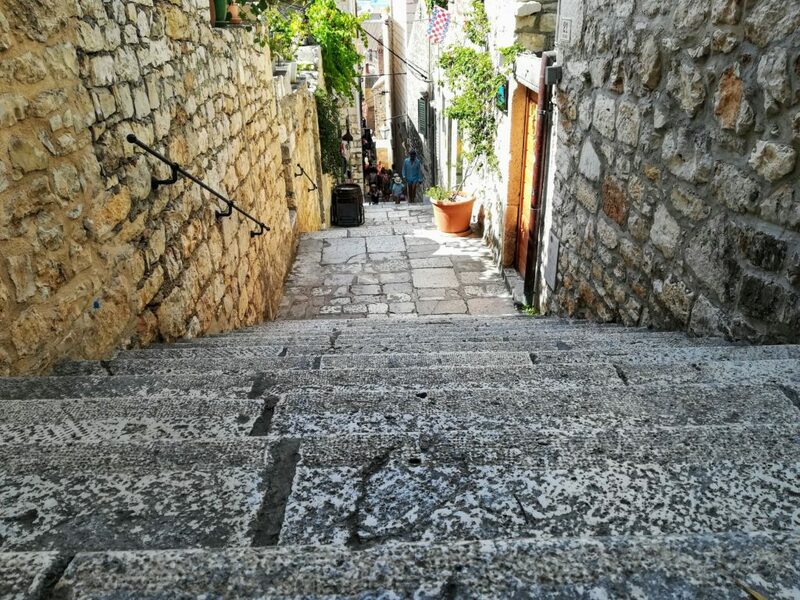 The pedestrian-only Stari Grad old town is close to the city’s marina. Here you can enjoy the view of the fjord and the many ships that daily enter the small picturesque harbour. 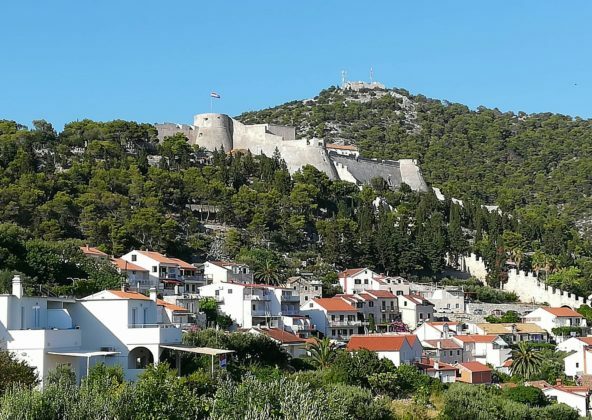 When going from Stari Grad To Jelsa you will pass close-by or through the Stari Grad Plain. The Plain is one of Croatia’s 7 UNESCO protected locations and worth to pay a visit. The large plain occupies the island’s central area and is in fact, a cultured landscape, formed by thousand of years of human labour. Here you will find paths and low stonewalls crisscrossing the landscape. A stunning comprehensive system of land use and agricultural colonization by the Greeks dating back to the 4th century BC. The Greek colonizers subdivided the land into lots and planted olive trees and grapevines, the same crops you will find to day. 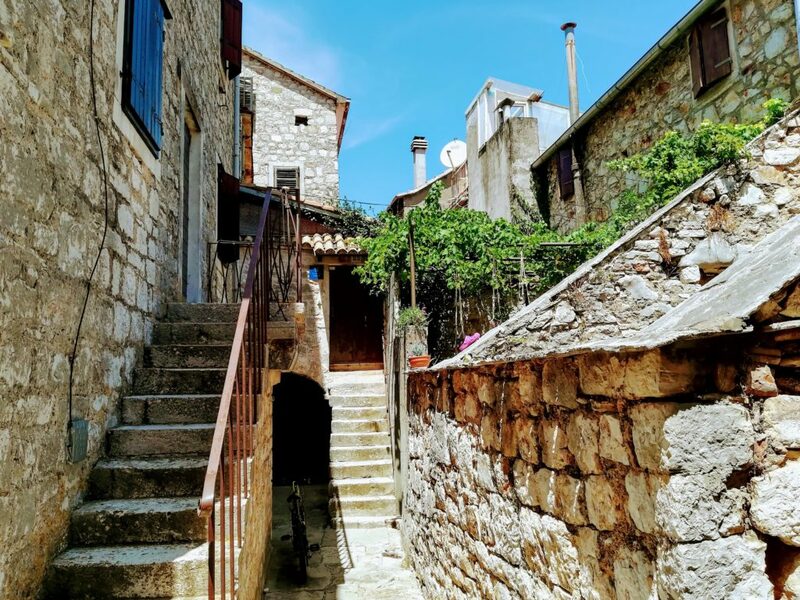 When visiting the Stari Grad Plain, you get a glimpse into 2400 years of human history. This is how long this patch of land has remained almost unchanged. The Stari Grad Plain is the best preserved of its kind throughout the Mediterranean area. 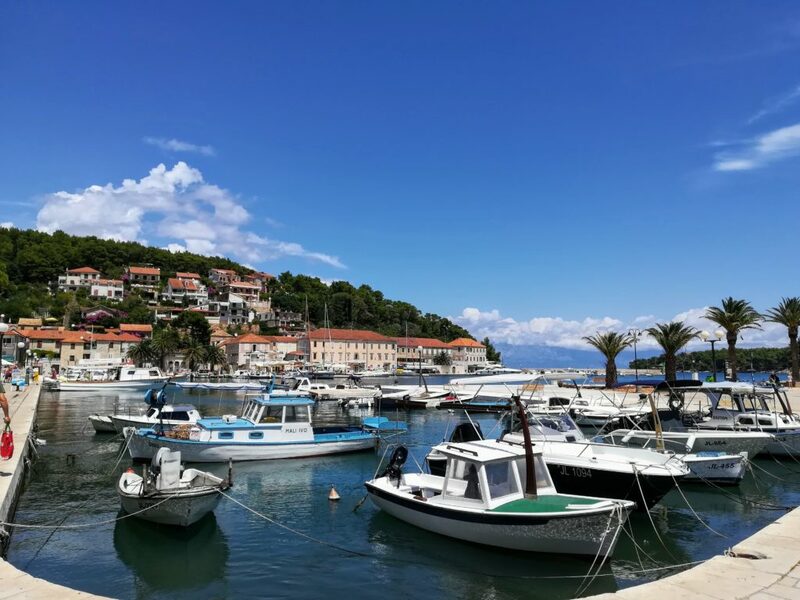 After spending your day in Stari Grad and maybe the Plain, arriving in Jelsa gives you the opportunity of having a late lunch in one of the many restaurants surrounding the beautiful harbour. 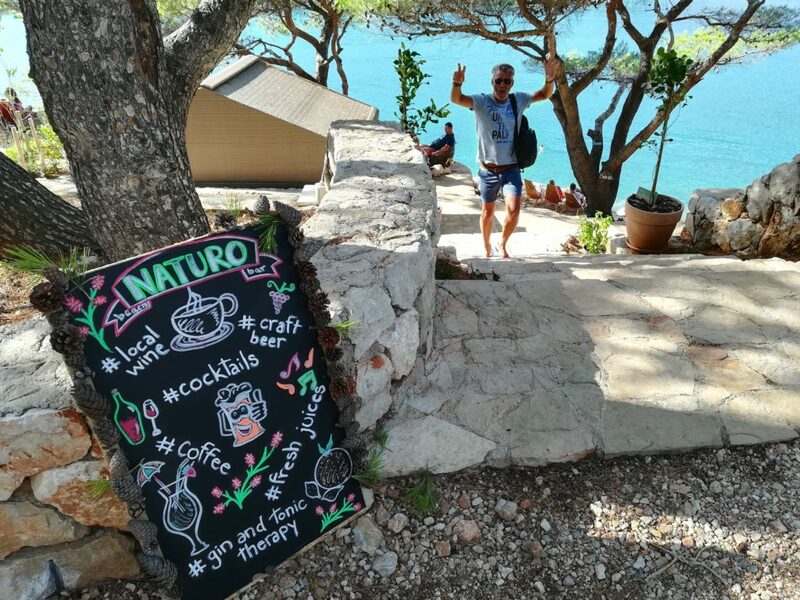 After lunch, you can wander through the narrow alleyways of the town or maybe enjoy a longer stroll to the Naturo beach bar. From here you have the most amazing views over the small bay. After a long day of bus-tripping, the perfect finale is definitely spending a couple of hours chilling at the fantastic Naturo bar. 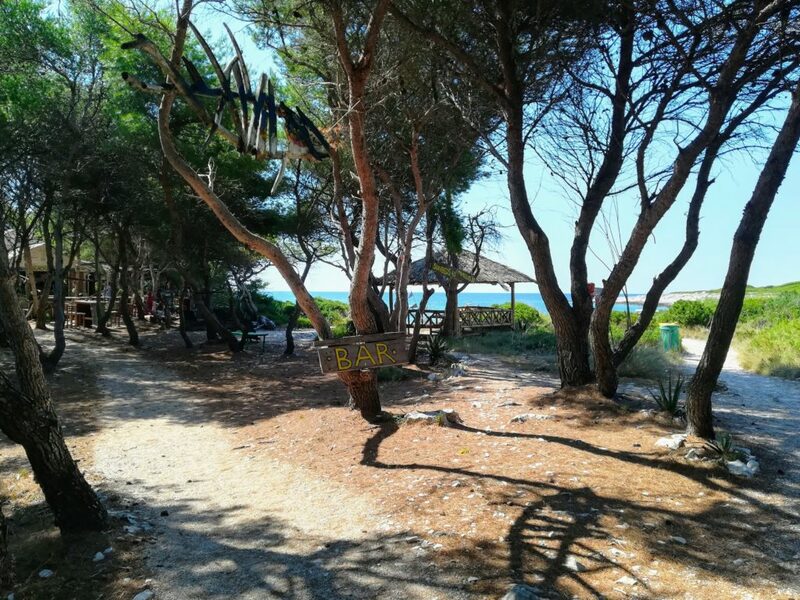 From here you have the most fantastic view towards a small bay and from the bar, you have direct access to the crystal clear luke warm sea. 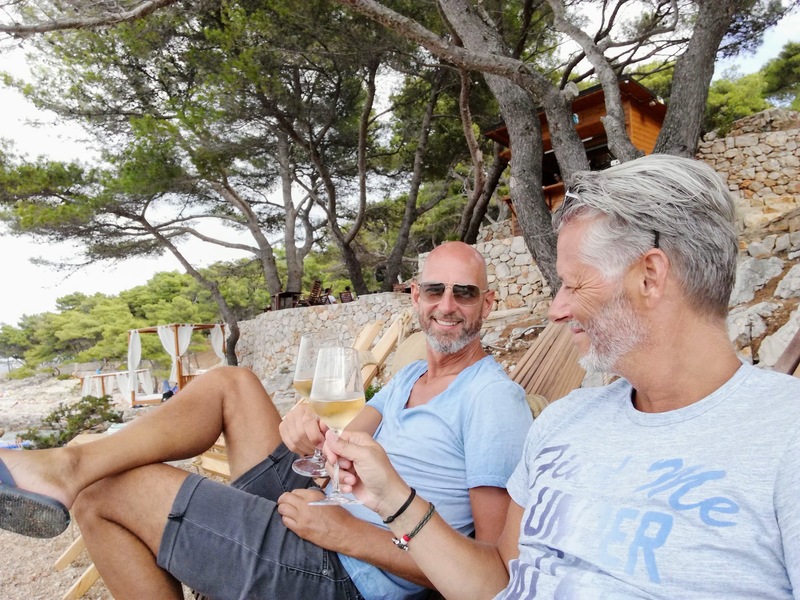 You can take a swim in the crystal clear water, sunbathe or have a nap on one of the small wooden platforms scattered across the rock walls or simply just chill in a sun-lounger while sipping a glass of cold Croatian white wine. 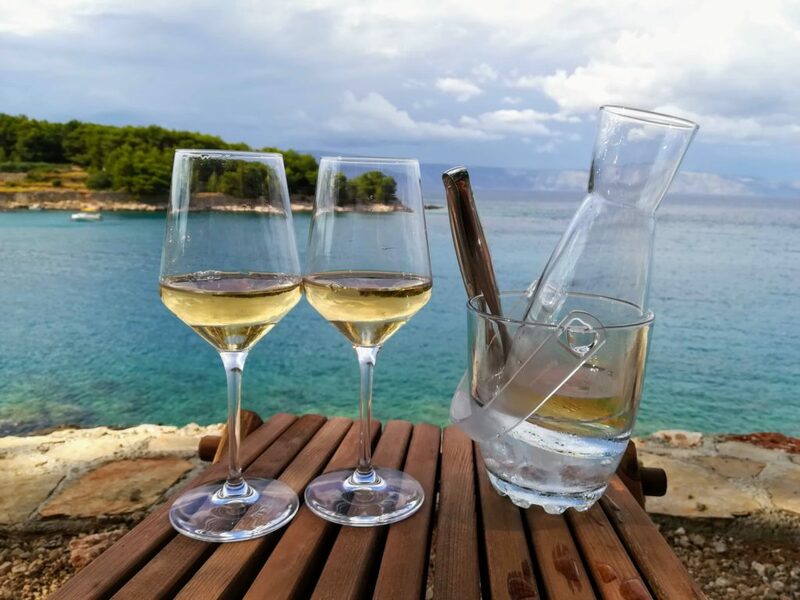 Croatia produces some extremely delicate wines. One of our favourites is the crisp “Saltwater” a wonderful Sauvignon Blanc from Slavonia. 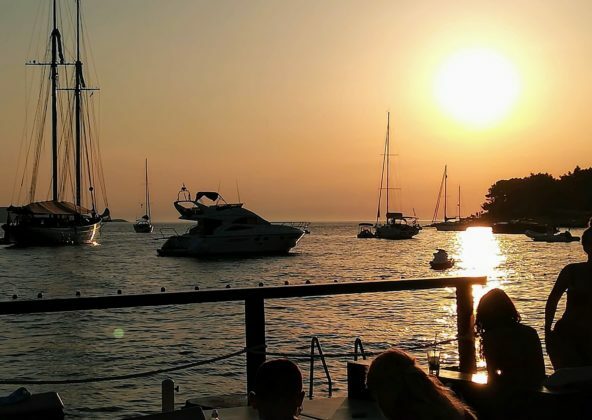 The Island of Hvar has something to offer every single one of its visitors. We are already looking forward to our next stay. 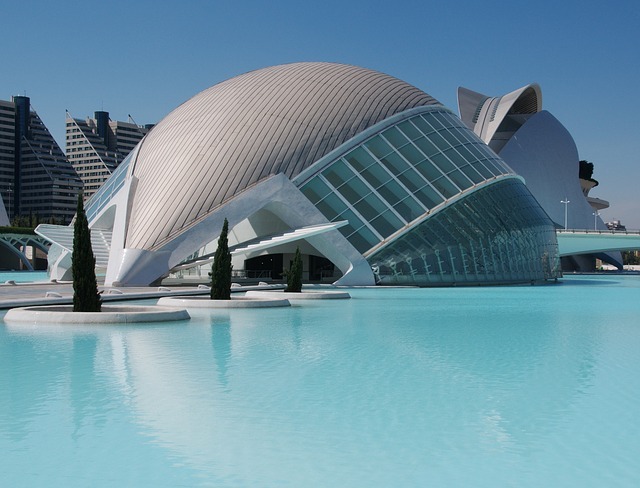 The apartments are situated only 250 m from the old town and 500 m from the nearest beach. You will find restaurants, cafes, cocktail bars, grocery shops and supermarkets within a few hundred meters. The apartments offer a terrace or a balcony with impeccable views towards the town and the fortress. You can choose between rooms or apartments with well-equipped kitchens. The apartments are very clean and quite. Jelena and her family are friendly and helpfull and they will pick you up on arrival and bring you back on departure (pick-up is at the bus station as cars aren’t allowed in town where the ferries dock). Visit Restaurant Lucullus at least once. They serve delicious food and the staff are very helpful and funny. Remember to bring bathing shoes because of the pebble beaches and the sea urchins.